The ongoing ODI series between two present-day superpowers of International Cricket, India and England has stirred a lot of excitement and anticipation. Both the sides look very strong and have their own sets of strengths and weaknesses, things that both the captains would want to address. 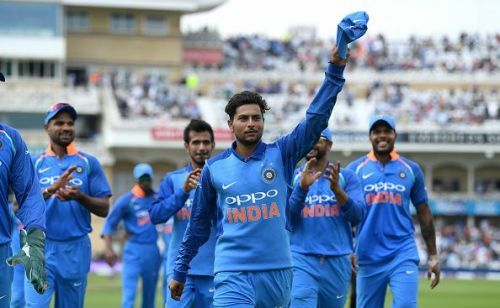 At the moment, England seem to have a lot of issues that they need to look at, the main and most important one being Kuldeep Yadav, who seems to have spun the minds and the game of English batsmen. 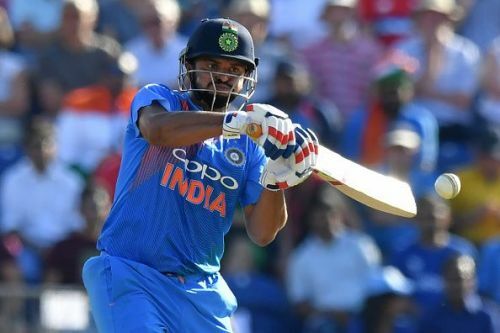 With 5 wickets in the first T20I and 6 wickets yesterday in the first ODI, he has left the England batsmen absolutely clueless. India, however, might want to look at ways to strengthen their fast bowling lineup, that lacks experience. Umesh Yadav, leading the pace attack, needs to take care and guide his fellow pacers Hardik Pandya and yesterday's debutant Siddharth Kaul. Although Suresh Raina has lived up to his record of scoring a minimum of 300 runs in every season of the IPL, he doesn't seem to carry that flair and lustre anymore, that he once carried. His shots seem half-hearted and he doesn't seem to be in complete control them. The persona Suresh Raina had been playing, whether you call him Mr. IPL, T20 specialist or anything else, seems to have been lost. The stylish and aggressive middle-order batsman who could come in at 4 or 5 and play an elegant innings while building partnerships, as well as come in at 5, 6 or 7 and hit the big shots at will and clear the ropes effortlessly, is far from what we see of him today. Scoring 445 runs at an average of 37.08 and a strike rate of 132.44 in IPL 2018 may be indicative of an average batsman, but considering the way other players have played in the same tournament, players who had always performed worse than Raina, and are doing way better now, it is not a great news for Raina and CSK fans. One bad series, and it may be a complete bye-bye to him and selectors might want to look at Dinesh Karthik and Ambati Rayadu as replacements.